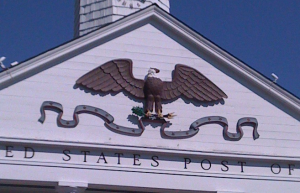 The Stony Brook Post Office is also home to the Mechanical Eagle that resides on its pediment, and flaps its wings every hour on the hour (8:00 am – 8:00 pm) as it has done since 1941 welcoming thousands of visitors to the village specialty shops and restaurants. The eagle was hand carved and its wings span 20 feet. 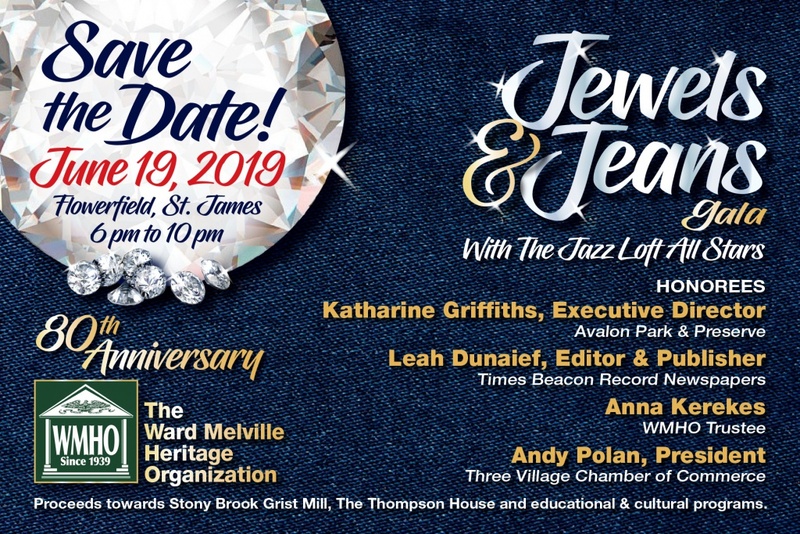 The post office, a traditional hub of community activity, was the core of Mr. Melville’s original vision and project, his “living Williamsburg.” It is located in Harbor Crescent, where a series of connected shops overlooks the Village Green, and the site of The Ward Melville Heritage Organization’s holiday tree lighting and a premier wedding photograph location for generations of area brides and grooms.